To date I have found no formal records that detail the numbers issued or the allocation of serial numbers. I was told by one dealer that all the records were kept in London and were destroyed during the blitz of WWII. What I am able to do from my own records is identify partial ranges of the serial numbers used. There are two numbers, one appears to be issued to the supplier and is stamped on the outside lid of the case. The other is a case number that when used is stamped fully on the inside of the lid and the last four digits on the rim of the lower part of the case. I presume that this was done to ensure the case and lid matched. The following supplier lid numbers are identified from my own records. 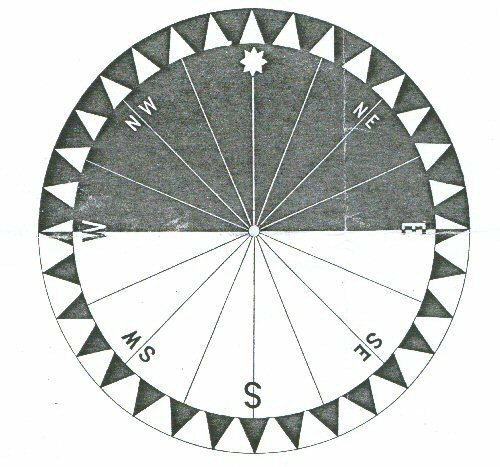 There is no clear pattern to the numbering scheme, other than I have yet to identify two compasses from different suppliers with the same lid numbers. Even if there are overlapping number ranges, each lid number appears to be unique to the compass and a specific supplier. The shaded cell denotes that I have identified a record of such a compass. These numbers indicate the upper and lower numbers and as you can see there is overlap between suppliers. 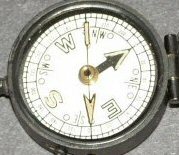 It is possible to find compasses without the case number and presumably these are not Dennison made cases. For a Dennison case there are two sets of numbers, one with a suffix W and the other with a suffix M. To all intents and purposes there is no discernable difference between cases marked M and W. The numbers on Dennison cases are clearly marked and presumably the practise of marking both the lid and the rim is so that they can be matched. The Dennison cases are made in three pieces, a bottom cover, a rim that includes the locking and transit mechanism and the top cover. These all clip together with the bottom cover being a very tight fit. All data is taken from my own records. My conclusion on the numbering is that case numbers were used uniquely on cases manufactured by Dennison and that lid numbers were probably issued centrally to all those who distributed this style of pocket compasses. British Library � Henry Hughes & Son Ltd 1910 Catalogue and various document searches.